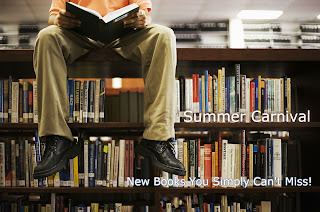 Summer, Sunshine, Nimbu, Nariyal Paani, Vacations and a good Book make for companions unlike any other. So, along with your sunblock, comfy chappals' and a sarong or two hold on to this summers' blockbuster releases' as it promises to be the most exciting for the literary faction as a number of books slated for release over the next few weeks' assure to thrill chill and send us role playing as arm chair, detectives' whilst swooning over handsome men and the men are not left out either! We have exciting books at Pre-order to make your summer a Carnival from the authors George R. R. Martin, Suzanne Collins, Shamini Flint, Michael Connelly, Vijay Govindarajan, Deepak Chopra, Stephen King. We have Books that made people talk about them days & nights world-over like Fifty Shades of Grey, The Official Guide For GMAT, MBA At 16, The Devotion Of Suspect X and many more. So, why are you waiting for, get a copy of yourfavorite book now!